"Classic" recipes are classic for a reason; they are great old recipes. 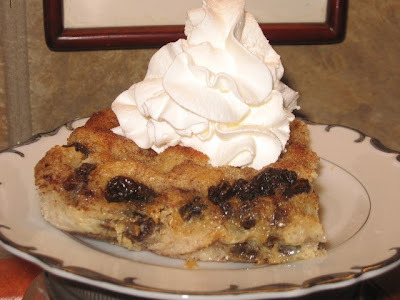 Bread pudding is one of those classic recipes that most people have a fond childhood memory of. It doesn't take any special ingredients, it is inexpensive and easy to make. It is total comfort food, so it works well for any family gathering or holiday. Preheat oven to 375 and spray a 9" x 13" baking dish with cooking spray. Put your raisins in a small dish and cover them with boiling water and ½ teaspoon of rum extract (if you don't have rum extract, just leave it out, but its very good). Cube the bread (you can leave the crusts on or take them off, whichever you prefer). Place the bread cubes in the prepared baking dish and set aside. Heat the milk, sugar, butter and salt until the butter melts (I use microwave), add vanilla & spices and whisk in the beaten eggs (whisk while adding the eggs). Drain the raisins (throw away the liquid) and sprinkle them over the bread cubes. Pour the egg -milk mixture over the bread cubes. Let this sit for 15 minutes (important). Before baking, sprinkle the surface with a little cinnamon sugar (or just sugar) and bake 30-40 minutes (my oven takes 35 minutes). Bread pudding is done when knife inserted in the center comes out clean. Serve warm (not hot) with whipped cream or ice cream. NOTE: This recipe works better with bread that isn't super fresh/soft. Specialty breads like brioche or egg bread work well. NOTE: When making this for company, I use raisin bread, and I let it sit out in the air for a couple of hours to remove some of the breads moisture. I don't add other raisins. NOTE: I hope you will all go over to Sweet as Sugar Cookies and take a look. Lisa, is hosting the neatest "Sweets for a Saturday" post. Tons of sweet goods to inspire you!!! It looks fabulous! Love the idea of using raisin bread too. This looks great! I know what ya mean about "classics" they never get old and they are COMFORT food! It isn't a dessert,but it is a classic and comfort food, on my food blog, it's called hamburger casserole, and I promise it is extreme classic and comfort combined! And healthy too! Bread pudding is fantastic. Want to grab it. 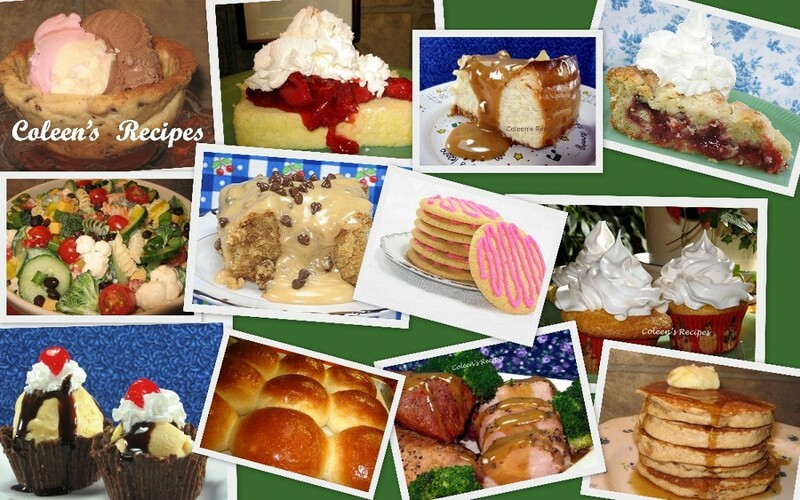 I love bread pudding and yours looks delicious!!! i adore bread pudding, this looks killer! Can't tell you how many times bread pudding was served as I was growing up. So good and associated with good memories. Thanks, Coleen. Good food like this never goes out of favor.